Would you workout for Cryptocurrency? Introducing the Crypto Gym concept. By now, you are probably familiar with the massive untapped potential of renewable energy sources. Perhaps you’ve even thought about getting a few solar panels of your own. But, there’s another untapped energy source right beneath your nose… it’s YOU. That’s right. People power — more formally known as kinetic energy — is the energy associated with human movement. And it’s a promising outlet for energy. Energy cannot be created nor destroyed. Instead, it is transferred. Energy from the sun is transferred to the apple tree, which transfers that energy into sugars (apples). Our bodies process and transfer apples into a usable energy. The energy stored from the apples fuel our bodily functions and movements, which transfer the energy to carbon-dioxide and water for the apple tree to absorb again. This fantastic cycle works seamlessly, but that doesn’t mean we can’t take advantage of it — specifically the energy exerted when we move could be collected. Energy Floors are impact responsive floor tiles equipped with generators that are sensitive to steps. Basically, every time you take a step, the floor tile bounces up and down slightly, thus putting the generator in motion to collect this kinetic energy and convert it to electrical energy. Night clubs, where there’s a lot of dancing, would be a great application of this technology. Basketball courts could potentially utilize energy floors. And really any surface that gets a lot of foot traffic. 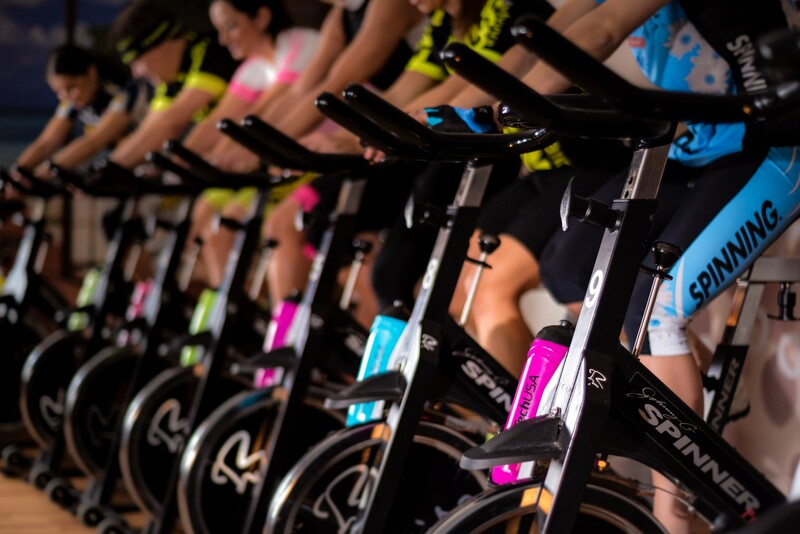 There’s another place that is a hotbed for our kinetic energy we could tap into… the workout gym. Think about the millions of hours logged on elliptical machines worldwide every single day. Same goes for stationary bikes, rowing machines, and other workout equipment. What if generators were implemented in these machines and collected this energy? We’re talking about free, usable energy. SportsArt is one company on the precipice of this Green Fitness movement, with their line-up of ECO-POWR workout equipment which collects the energy exerted by all those “gym rats” out there. Entire gyms could potentially adopt rows and rows of this equipment. What would they do with this collected energy? For one, businesses that utilize Energy Floors or Green Fitness equipment could pump the electrical energy right back into the grid, thus lowering the meter on their own energy consumption. And it’s not a bad way of saving money. But, that’s boring. Why not reinvest that energy into another business? Perhaps one that is siphoning energy from the rest of the world. I’m talking about mining cryptocurrency, which is an energy-intense activity on multiple fronts — from the computers that are solving the complex math equations to the fans used to cool down the machines. Digiconomist estimates the amount of energy consumed by crypto-mining increased six-fold in just the past year to 62 TWh per year, which is roughly the entire energy consumption of the Czech Republic and comparable to 1.5 million transatlantic flights. And it’s only going up! For a being such a transformative, futuristic technology, it sure is primitive in its energy-efficiency and carbon footprint. So, why not change this fact. The Crypto Gym is a conceptual workout facility equipped with Green Fitness equipment, thus supplying a steady stream of sustainable energy to computers dedicated to mining cryptocurrency. It’s a fusion of two business models that complement each others’ revenue streams with resources. The workout equipment gives usable energy to the crypto-mining computers. And the crypto-mining gives the workout facility a great marketing narrative to attract members. The Crypto Gym could be the first of many different types of these sustainable fusion businesses.